Samsung has begun their European assault with the Samsung Wave S8500 as we've seen Germany, the UK, and France seeing the light of the handset recently. However, we reported that it would also see a launch outside of Europe in the short term, but now it looks as though a variant is headed for the Chinese market. 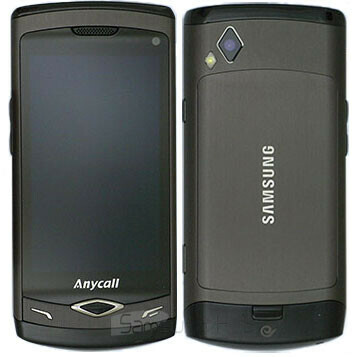 The CDMA flavored Samsung Wave SCH-F859 visually appears the same to its GSM counterpart except for the noticeable Anycall branding that's adorning the front of the handset – it would seem that it will be sold through China Telecom. When it comes to the internals, the Samsung SCH-F859 looks to be packing the same specs such as a 3.3” Super AMOLED touchscreen, 1GHz processor, 5-megapixel camera, the ability to shoot 720p video, and supports EV-DO Rev A. Although it'd be a dream to see this bada powered handset land stateside, it's still up in the air if US consumers will ever see either flavors of the handset make an appearance.